It’s no surprise that globalization, always a hot-button topic, has resurfaced in the US presidential race. But a lot of the discussion continues to re-litigate the past rather than proposing how to compete in the future. 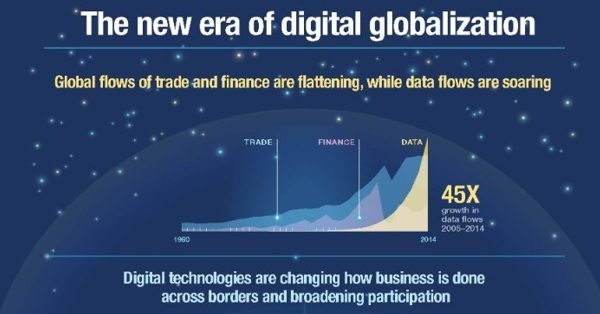 While we’re still talking about tariffs, trade deficits, and currency wars, globalization has morphed in a very different—and more digital—direction.